Analyzing Artificial Intelligence (AI) is difficult: there are a lot of techniques and technologies working to solve a broad variety of challenging problems. Starting with an architectural framework makes things much easier. © 2018 IDC Inc. Used with permission. This is the jumping off point for my thinking, especially the separation of Learning and Reasoning. The Representation is passed along to Learning. Often, Learning is viewed as “figuring out that a group of edges is a chair… or a car… or your hand” – that is, as recognition and naming. However, I don’t believe Biology cares about that. Rather, Biology cares about survival… about whether a group of edges is something that can be eaten or that might eat you. Thus, Learning is about tuning the system to make predictions of what’s there from novel data. That’s Recognition, but in a broader sense than object-naming. 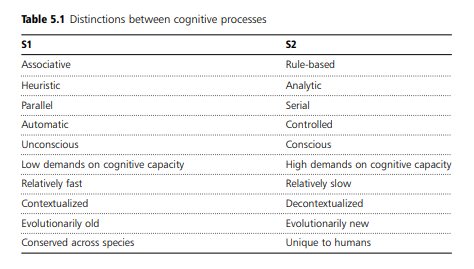 That really sums it up: there is a Recognition stage… which learns (i.e., is tuned) to make ever-more-accurate predictions of the current context over ever-more-novel inputs … and a goal-driven Reasoning stage that seeks to determine the actions that optimize outcomes in a given context. And note that while the predictions of context are based on the data at hand (endogenously), the goals of Reasoning are generally defined externally. © 2018 Peter Carruthers. Used with permission. 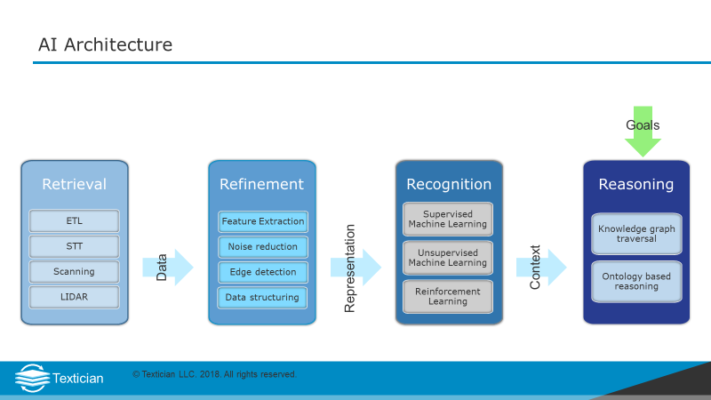 In future posts in this series, we’ll step through the framework in more detail, uncovering (hopefully) insight into optimizing AI system design and performance. IDC, AI Is Hard: What Does It Take to Make AI Work for You?, Doc #DR2018_T3_DS, Feb 2018. When I was at Caltech studying CNS, one professor (I can’t remember whom) remarked that biological systems are not built for high performance. Rather, they are tuned to high performance. See https://arxiv.org/abs/1711.11536 for how this might be done. 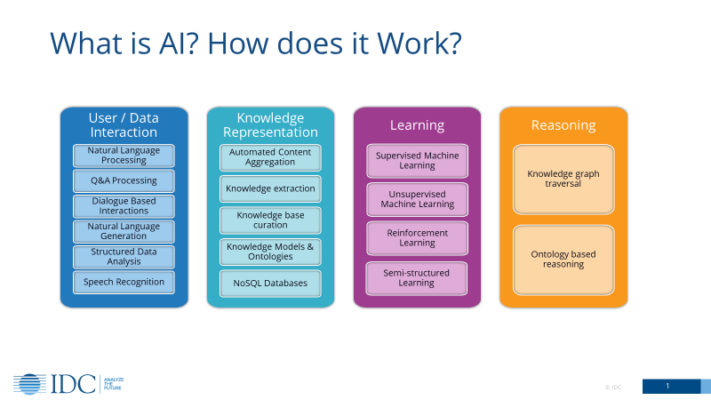 This entry was posted in Four R's Architecture and tagged AI, architecture, data representation, machine learning.